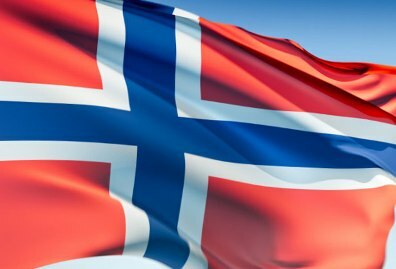 The Norwegian national assembly voted Wednesday to change the existing marriage and adoption laws. After debating for several hours, the vote resulted in a 84 to 41 majority in favor of the new law which allows lesbians and gays to marry and adopt children. For the past several weeks, there have been extensive debate over the change, with both sides staging demonstrations in most of the larger cities in Norway. The last time Norway changed the laws regarding marriage was in 1993, when gay and lesbian people were allowed to form partnership unions with similar rights as marriages. The existing law attracted criticism in the last few years for discriminating against lesbians and homosexuals, as they were denied marriage, adoption, and the use of assisted reproductive technology. The new law, as proposed, allows marriages between homosexuals and lesbians, granting them the same rights to religious services in connection with their marriage, as well as the right to adopt children with the same requirements being applied as to heterosexuals. The new law also allows lesbian couples to use assisted reproductive technology. The new law does not require The Church of Norway to marry homosexuals or lesbians, but it allows ministers to perform this service if the national church council permits it. Another part of the new proposal, which would have disclosed the identity of sperm donors, failed to gain a majority during the vote. Citing the right for children to know their biological parents as more important, a majority of the representatives voted against this part of the proposal.